Lady Medical Officers (Family Welfare) : 02 posts in Family Welfare Programme under Directorate General of Armed Forces Medical Service, Ministry of Defence. Senior Scientific Officers Gr.II (Mechanical) : 02 posts in Directorate General of Aeronautical Quality Assurance, Department of Defence Production, Ministry of Defence. Assistant Veterinary Officer : 01 post in National Zoological Park, New Delhi, Ministry of Environment and Forests. Senior Grade of Indian Information Service : 13 posts in Indian Information Service, Ministry of Information and Broadcasting. Medical Officers Gr. II : 20 posts in General Reserve Engineer Force of Border Roads Organization, Ministry of Road Transport and Highways. Deputy Director (Non-Technical) : 01 post in Office of the Textile Commissioner, Mumbai, Ministry of Textiles. Lecturer (Civil) : 01 post in Dr. B.R. Ambedkar Institute of Technology, Pahargaon, Port Blair, Andaman & Nicobar Administration. Lecturer (Electronics) : 01 post in Dr. B.R. Ambedkar Institute of Technology, Pahargaon, Port Blair, Andaman & Nicobar Administration. Lecturer (Electrical) : 01 post in Dr. B.R. Ambedkar Institute of Technology, Pahargaon, Port Blair, Andaman & Nicobar Administration. 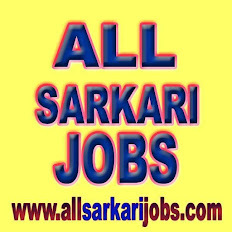 Assistant Engineers (Civil) : 15 posts in Office of Chief Engineer, Union Territory, Chandigarh, Engineering Department, Chandigarh Administration. Specialist, Gr.II,(Jr. Scale) : 01 post in Forensic Medicine in Directorate of Health and Family Welfare, Govt. of Puducherry. Specialists, Gr.II, (Jr. Scale) : 02 posts in Microbiology in Directorate of Health and Family Welfare, Govt. of Puducherry. Specialists, Gr.II, (Jr. Scale) : 02 posts in Oto-Rhinolaryngology (ENT) in Directorate of Health and Family Welfare, Govt. of Puducherry. Specialists, Gr.II, (Jr. Scale) : 02 posts in Skin & V.D. in Directorate of Health and Family Welfare, Govt. of Puducherry. Specialist, Gr.II, (Jr. Scale) : 01 post in Physical Medicine and Rehabilitation in Directorate of Health and Family Welfare, Govt. of Puducherry. Specialists, Gr.II, (Jr. Scale) : 02 posts in Ophthalmology inDirectorate of Health and Family Welfare, Govt. of Puducherry. Specialists, Gr.II, (Jr. Scale) : 02 posts in Obstetrics & Gynaecology in Directorate of Health and Family Welfare, Govt. of Puducherry. Specialists, Gr.II, (Jr. Scale) : 04 posts in Orthopaedics in Directorate of Health and Family Welfare, Govt. of Puducherry. Specialists, Gr.II, (Jr. Scale) : 03 posts in Tuberculosis in Directorate of Health and Family Welfare, Govt. of Puducherry. Specialist, Gr.II, (Jr. Scale) : 01 post in Nuclear Medicine in Directorate of Health and Family Welfare, Govt. of Puducherry.